Blackstar's HT Venue series has been a huge success for the British amp manufacturer, and that looks set to continue with the latest addition to an already well-stocked line. 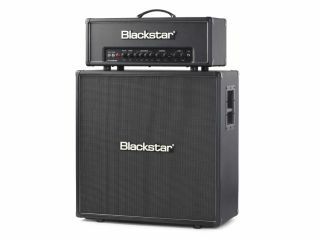 "Blackstar is proud to announce the addition of the HT Club 50 head to the award winning HT Venue line. The HT Club 50 offers all the innovation and functionality of the HT Club 40 combo, but in a versatile head format. "Equipped with two channels and four modes the HT Club 50 is the ideal valve amp for club-sized venues. The 50-watt EL34 driven power amplifier has amazing punch and dynamics that will easily cut through in a full band situation. "The 'boutique' style clean channel is extremely versatile with two modes - 'British Class-A' and 'dynamic US'. Switching to the amazing ISF equipped overdrive channel accesses a further two modes - 'classic' overdrive and 'modern' high gain lead. "With studio quality reverb, speaker emulated output and effects loop this amplifier sets a new standard for flexible, gigging valve heads." UK RRP is £499.00. Visit Blackstar Amplification for more.